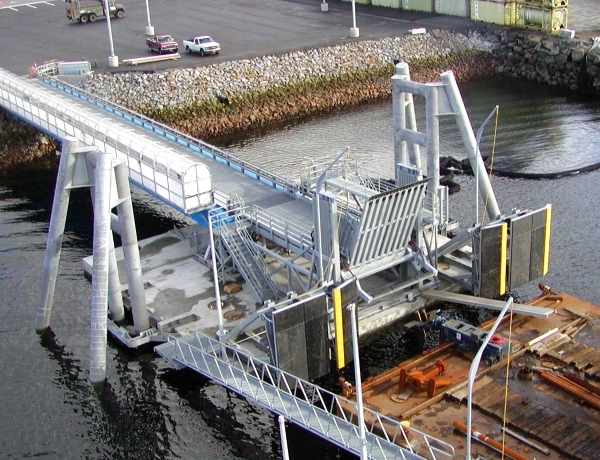 Ketchikan Port Berth Reconfiguration Project | Jesse Co. 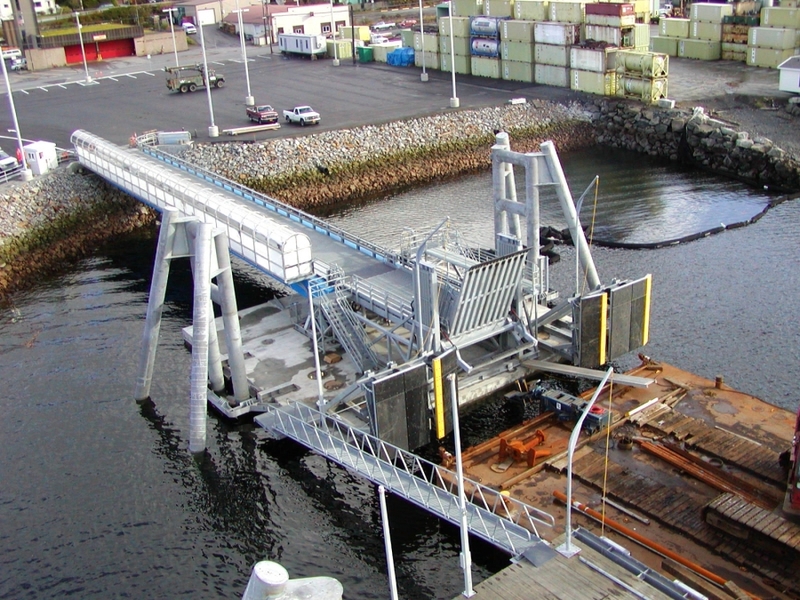 Fabrication and supply of steel for newly reconfigured cruise ship dock in Ketchikan, AK including a Steel Floating Dock, Transfer Span, Mooring Systems and Gangways. Total project weight was 1,665 tons. Highlights include 140 foot long Transfer Span Bridge welded to AISC Fracture Critical requirements, and a 625 ton, 300 foot long and 50 foot wide Floating Dock.